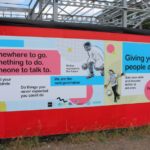 Work is well underway on the £6.5million facility, which is being developed by the national charity OnSide in partnership with Barnet Council, and to give people a flavour of what’s to come, the Youth Zone’s Development Group has worked with London-based design agency ZAK to create boards that will adorn the site hoardings. 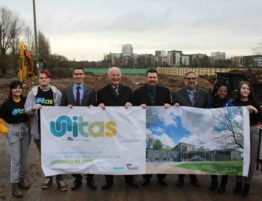 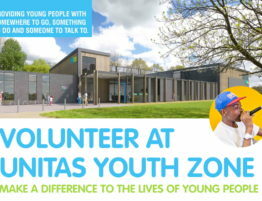 Unitas will open next year, offering young people aged between eight and 19 somewhere safe and inspiring to spend their leisure time, with facilities and activities ranging from sports in the four-court sports hall, fitness suite, martial arts room and on the 3G kick pitch, to a giant climbing wall, music, drama, arts and crafts, cookery, enterprise and employability opportunities and much more. 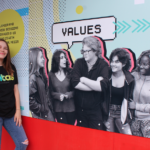 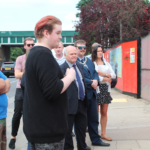 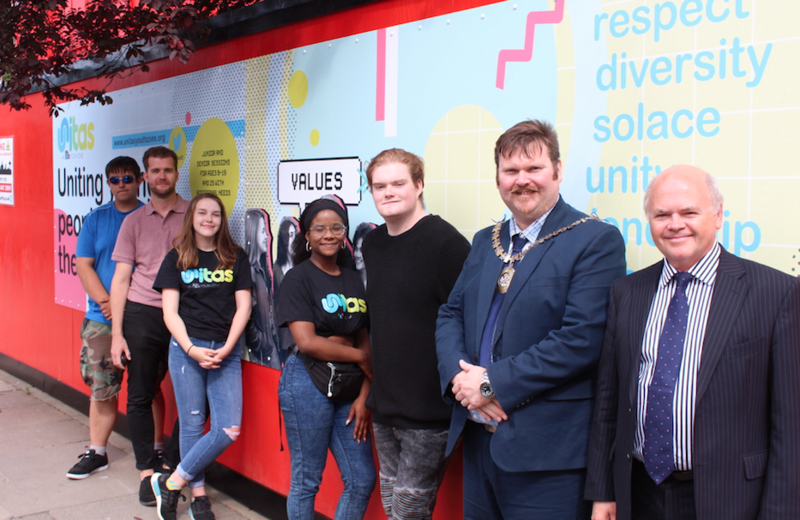 OnSide has been working in Barnet for over two years now, setting up a Development Group consisting of local young people to help the charity make key decisions for the Youth Zone. 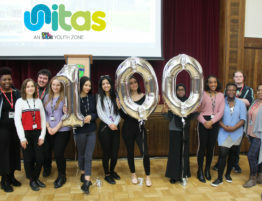 These include coming up with the name ‘Unitas’, helping the building’s architects decide the internal layout, interviewing potential staff members and spreading the word to the wider Barnet community. 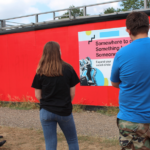 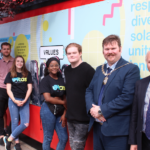 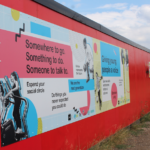 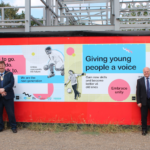 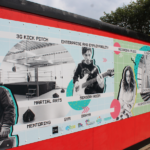 The group’s most recent task was to create designs for hoardings for the building site on Montrose Playing Fields, which tell passers-by more about the Youth Zone and what values it will hold. 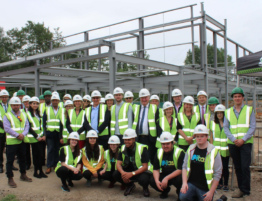 Building work began in the Spring with the steel frame of the building almost complete. 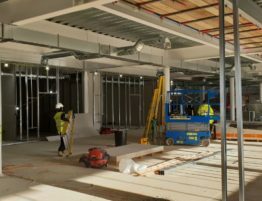 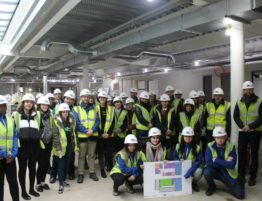 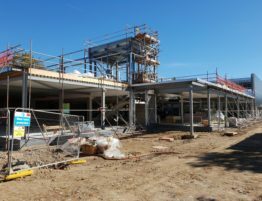 Barnet Council has contributed £4.2million towards the capital costs of the building, as well as providing the site, with OnSide raising the remainder from a combination of trusts and grants. 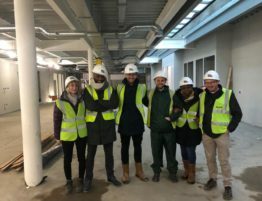 OnSide is currently fund-raising for the annual running costs with a number of private sector organisations and philanthropists already onboard as Founder Patrons.